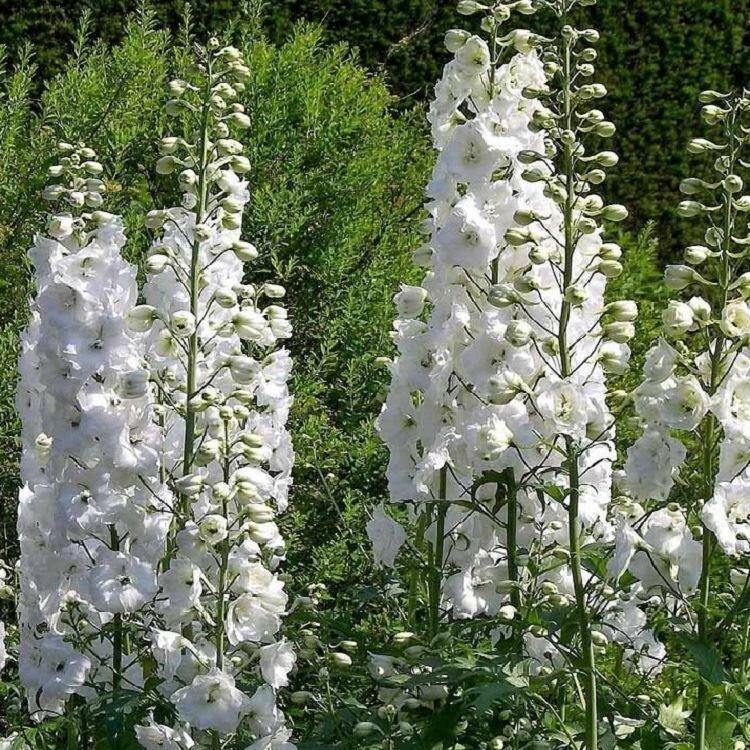 A subtle and beautiful delphinium with spires of creamy white flowers. The florets are closely placed on tall stems, opening over a period several weeks. For more flowers later on, simply cut back and they should produce more spikes. 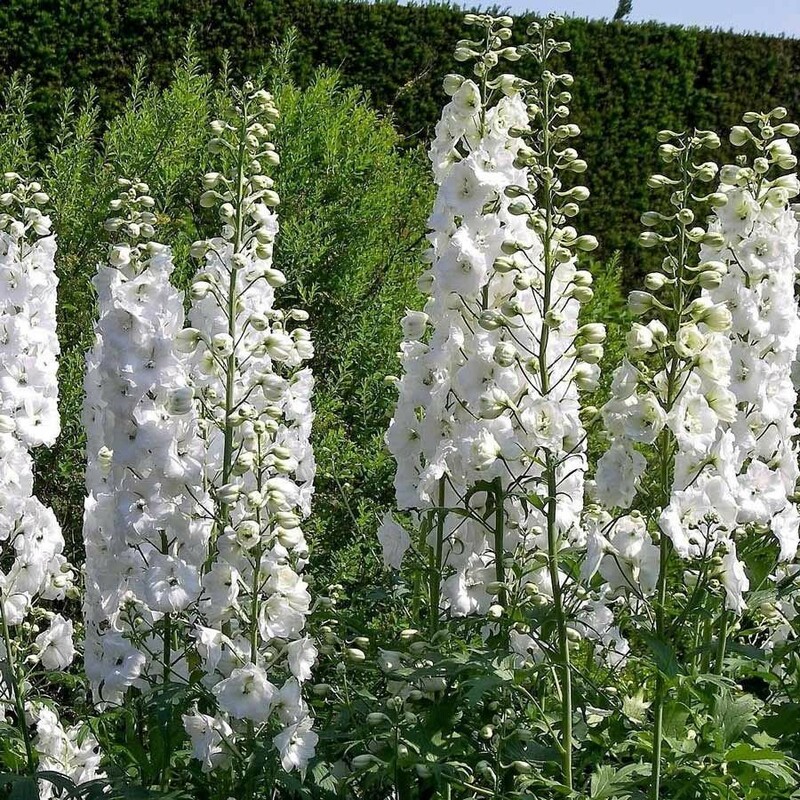 The plant grows to a height of upto five feet on rich soil and is ideal towards the back of a sunny border. These dramatic delphiniums look lovely planted with Hemerocallis ''Bela Lugosi'' and the black flowered Iris chrysographes. Supplied in 1 litre containers.